Rajasthan Royals have a knack of picking up unknown names and getting the best out of them in IPL. Today, against Chennai Super Kings, they selected a little known 23-year-old Ankit Sharma and sent him to open the batting alongside Shane Watson, ahead of their regular openers Ajinkya Rahane and Karun Nair. After a sedate start, Rajasthan got the required momentum when Ankit hit 17 runs off India’s No.1 spinner Ravichandran Ashwin’s first over, the 6th of the innings. Ankit hit 2 consecutive boundaries and one huge six off Ashwin’s bowling. Despite little knowledge among fans about Ankit Sharma, this is not the first time he’s playing in IPL. In 2011, he was selected by the now defunct franchise Deccan Chargers, and though he didn’t get a game that season, he made his first appearance in 2012, playing 9 matches that season. He was largely used as a bowling option, with his left-arm orthodox bowling his primary skill.In his 9 matches, he took 4 wickets and scored 18 runs that season, coming in at No. 8. He failed to make a lasting impression that season and played only a single game next year for the new franchise Sunrisers Hyderabad, giving away 17 runs in his 2 overs in his only appearance. 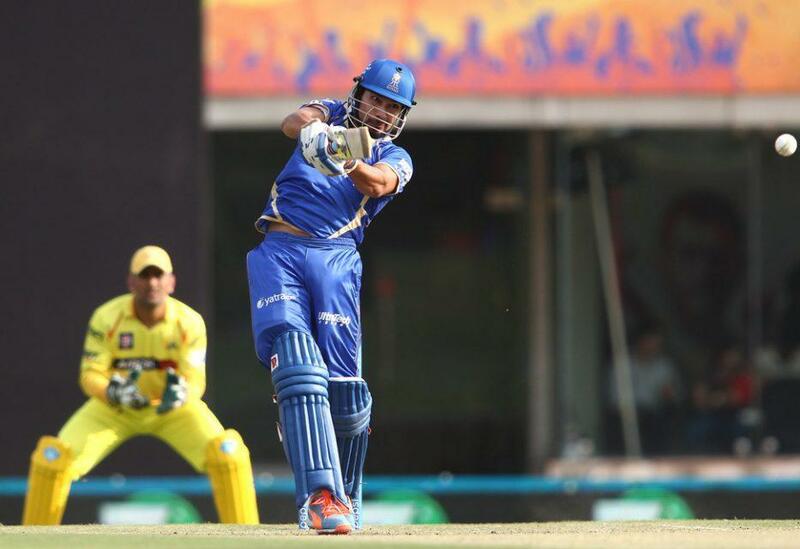 In this year’s auctions, he was snapped up by Rajasthan Royals for his base price of Rs. 10 lakh. RR have kept rotating players in the side this year, opting to remain fluid in their selections. The move to send Ankit Sharma at the top of the order was one such experiment. Ankit, in all his T20 career, had never batted above No. 7 before today. Born in Gwalior, Ankit is a regular in Ranji Trophy for Madhya Pradesh over the past couple of seasons, having made his debut against Kerala in 2009. Whereas his primary role is that of a bowler, in first-class cricket, it’s his batting average (36.33) which looks more impressive than his bowling (57.19). With Ankit scoring 30 runs off 27 deliveries before getting caught at long-on off Ashwin’s bowling, Rajasthan wouldn’t call this a failed experiment.